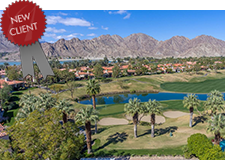 New Client: PGA WEST II Residential Association, Inc.
We are proud to announce that PGA WEST II Residential Association, Inc. has selected Tinnelly Law Group as their association’s legal counsel. PGA WEST II is a master-planned community located in the La Quinta. Residents enjoy several community pools, and views of the golf courses, lakes, and mountains. Our HOA attorneys and staff look forward to working with PGA West II’s Board and management.